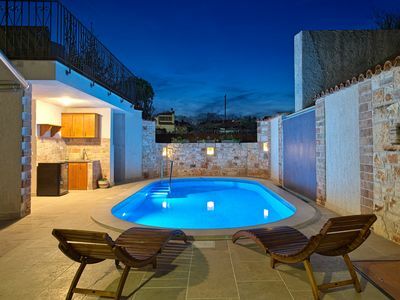 The stylish Villa is a great country house in modern style with exquisite comfort. 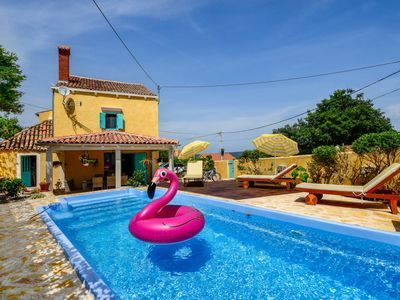 The villa is located in the small Istrian village Bonasini on a resort like landscaped property with lots of privacy. For shopping, go in, 6 km distant Vodnjan, a very picturesque place. From here, the beautiful villages and cultural sites of interest Istries are quickly reached. The beaches of the Istrian peninsula, such as the Fazana beach Brioni are quickly reached in 15 km by car hire. 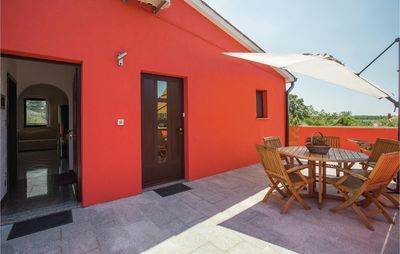 The great Villa impresses with its compact design with a two-storey building means, which is painted deposited in sand color with white, and the purist modernity with natural materials. 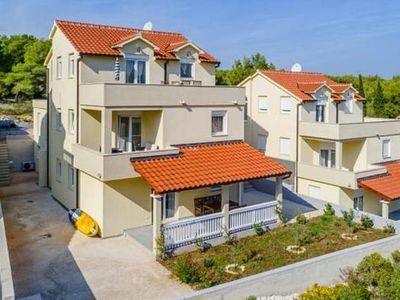 The highlight is the beautifully landscaped grounds with a 36 m² private pool with surrounding wooden deck for sunbathing, as well as the separately applied, covered terrace of 45 m² under which there is a comfortable summer kitchen with BBQ. Here you will find a massive dining table for up to 8 people and offers an absolutely cozy place for a chilled out evening barbecue for the entire tour group. 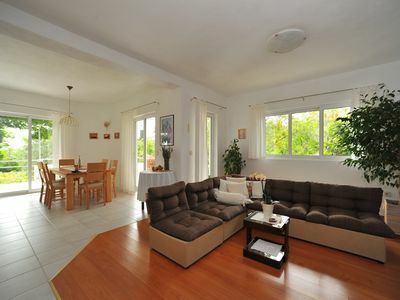 Aprospos chill out - this also the designer chairs and lounge furniture are ideal where you will find pure relaxation. Inside the villa trend we find 3 bedrooms with private bathrooms. Two of the double bedrooms are accessed via a solid wooden stairs, as they are located on the upper floor of the central building structure. The bedrooms are very spacious and have ample storage space for your holiday wardrobe. Topp has every modern bedroom with air conditioning and an LCD TV. Beyond pure sleep function, these rooms also offer opportunities to retreat into the private sphere. The two bathrooms are equipped either with a large corner bath tub or a walk-in shower area. 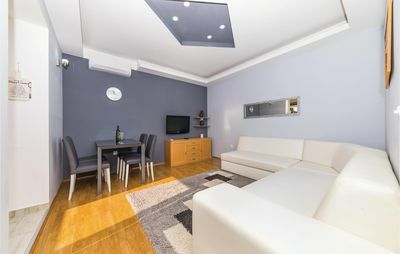 The third Double bedroom is located on the ground floor basement level. This bedroom also has an ensuite shower room and of course an LCD TV and air conditioning. For all passengers still on this plane practically a guest bathroom with shower, so you do not need to visit the baths of private sleeping rooms staying in the open common areas. The large living area is not divided by walls, but only by the obvious functional areas. Thus, the large dining area adjacent to the open kitchen. The Living area with sofa grandiose landscape shares the view of the fireplace with the other two functional areas, so lets that communicative here prepare dinner together and enjoy. With the use of natural materials such as the ones marketed by red natural stones bright floor tiles, the wooden beams ceiling structure or the natural tone of smooth plastered walls of the entire living area acquired a natural, minimalist and clearly cozy charm of a modern country villa. For your personal comfort, the kitchen is fully equipped with fridge-freezer, oven and hotplates, toaster, coffee maker, blender and more. On the ground floor level are still beyond a small library area, a work area with WIFI connection, a wine area and the laundry room. 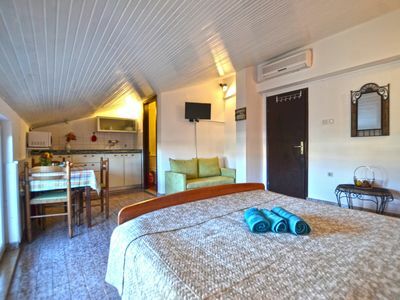 Last but not least, we would like your special attention to the little spa of Villa draw: In addition to the Finnish sauna and a fitness corner nor the large round Jacuzzi available stand - pure relaxation. 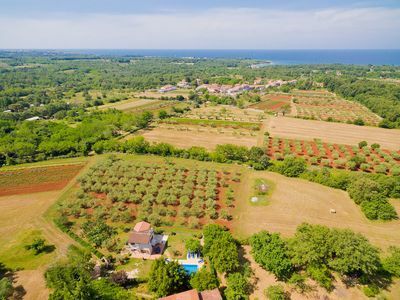 You can return after the day trips back in the Istrian countryside, you will appreciate this all the more. The clean and modern embossed Villa is on a Resort-like grounds with a total of 6 exclusive villas. 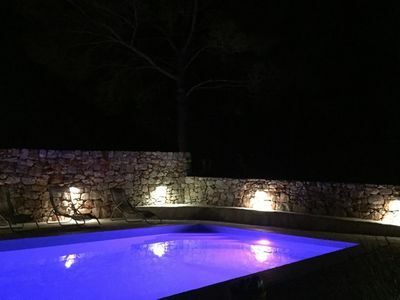 Each individually designed houses situated on a sufficiently large plot with private pool with modern garden landscape in order to protect the privacy of visitors well. 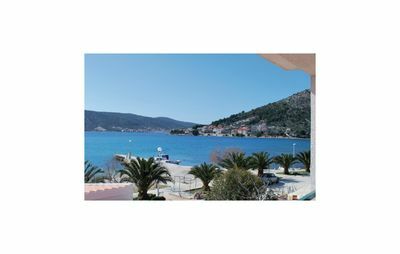 At the same time the guests of the 6 villas is commonly a sports park for beach volleyball, badminton, table tennis, football and much more. available. For younger guests there is a children's playground faces. If you do not like to cook or grill always yourself, please visit one of the taverns in beautiful Vodnjan or Svetvincenat, located just 6 km away. 'Tavern' is the Croatian word for cellar and it stands for small restaurants, drinking social event, food, wine, talking to each other, discuss together. In the domestic taverns you can taste fresh fish, the best meat from the region, regional vegetables and sinful desserts in socializing. 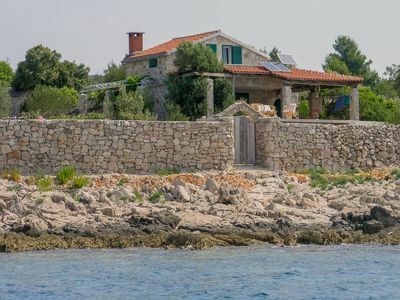 Trips to the remote location just 15 km Pula with its rare well-preserved amphitheater and many other attractions, you should just plan on how to visit the natural park on the island of Brioni. 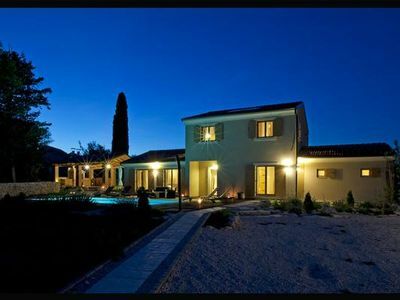 In Istria there is much to discover - enjoy new experiences, culinary delights and relaxation in the luxurious new villa. We at Crovillas wish you a great holiday. Final cleaning: once per object Costs amounting to 200 EUR (Mandatory). : per object and day Costs amounting to (Mandatory). Cot for children: per object and week for rent at a price of 50 EUR (optional). Cot for adults: per object and week available and included in price (Mandatory). Pet: per pet and week Costs amounting to 100 EUR (optional). Beautiful home with swimming pool and jacuzzi . Sea view ! 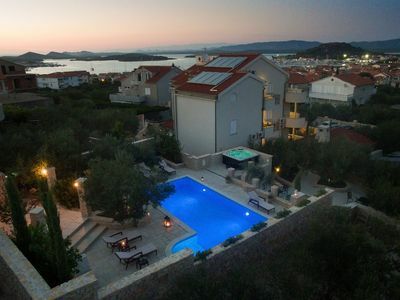 Adorable home with pool and jacuzzi and terrace with sea view !